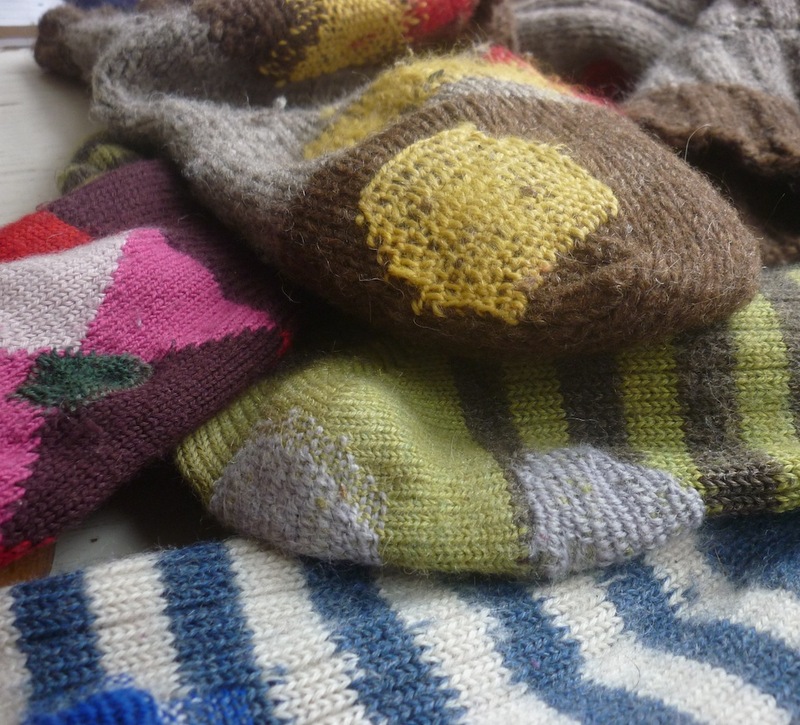 I’ve never darned anything yet, but I have a bunch of socks that need mending. To bad I’m too far away to attend your class! Interesting technique, and nice clear photos. Thanks Tom! 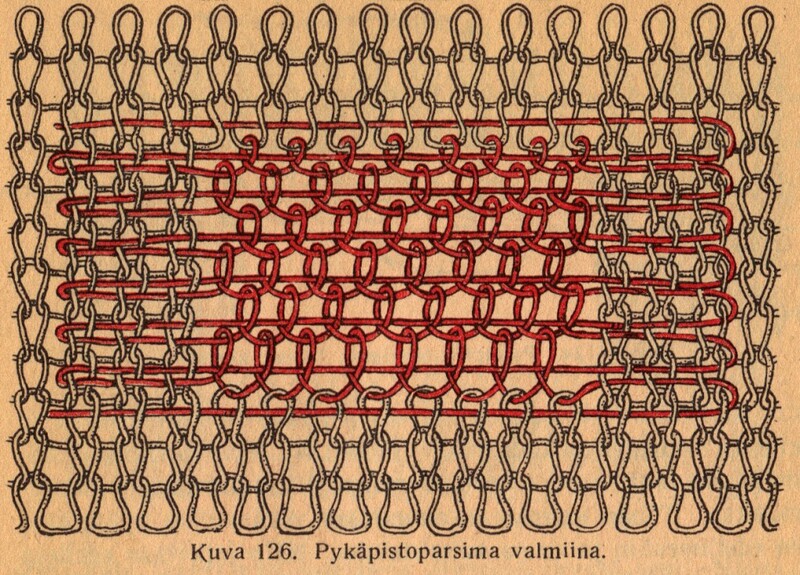 Thanks for this information about Finnish darning. I am 50 percent Finn, and shall give this a try. 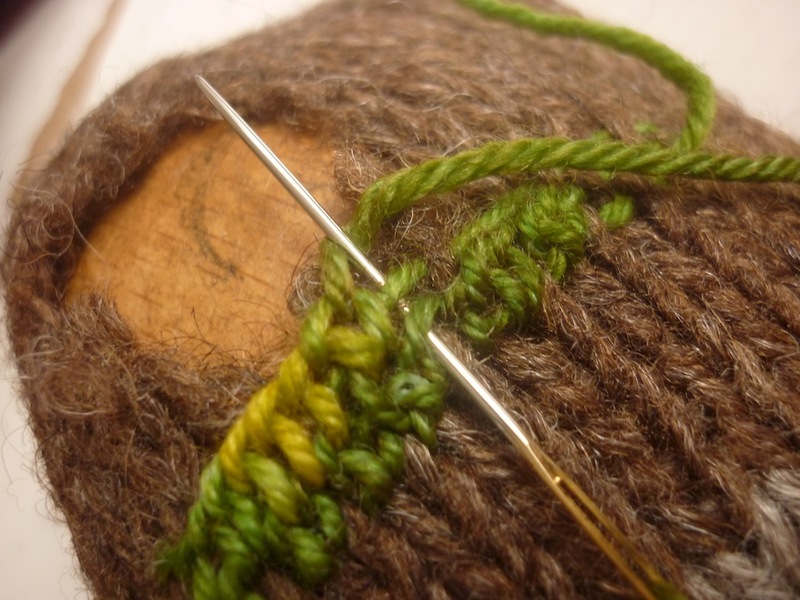 I love the blanket stitch and have used it before with multiple weights of thread – as a repetitive design element in my work. Thanks again Tom – I shall be back to be further inspired. 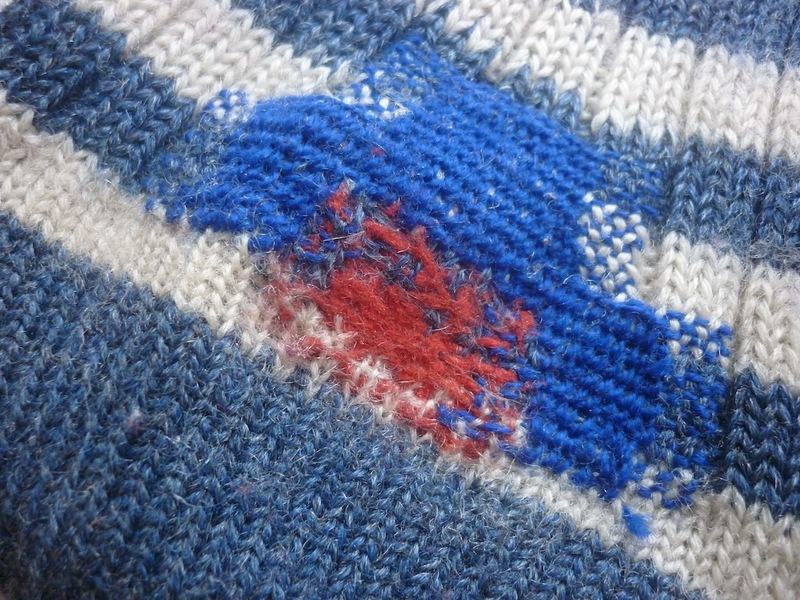 Hi Tom, I love the feeling of darning- my relationship to my garment is enhanced by the care and there’s an “all is well” satisfaction in the job. Thanks for this new technique! Tom, I love your clear photos and explanation. I am not sure your technique for the Finnish one is quite as depicted in the diagram. 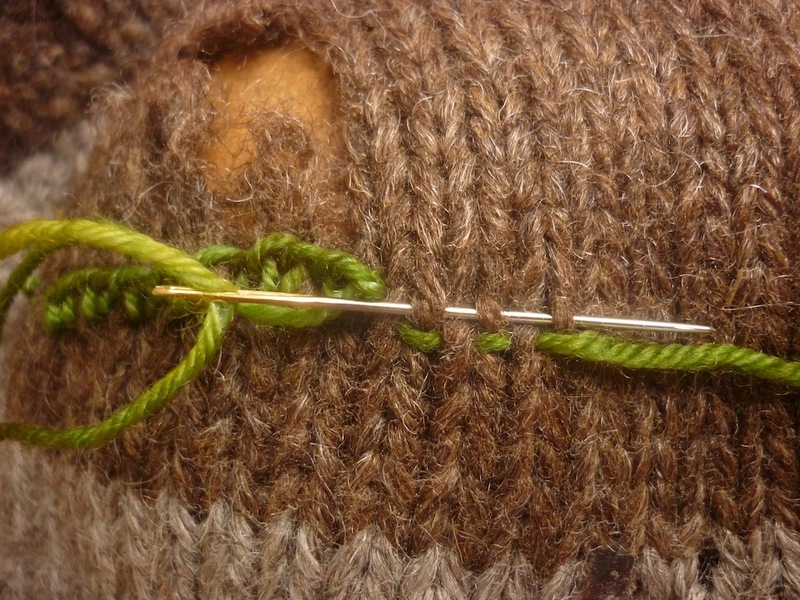 You used your foundation stitch to push the needle under for the 1st loop, but they haven’t :they seem to do a loop in the knitted stitch and then pass another straight foundation row and another series of loops into this. And so on. Was there a reason you tweaked it? 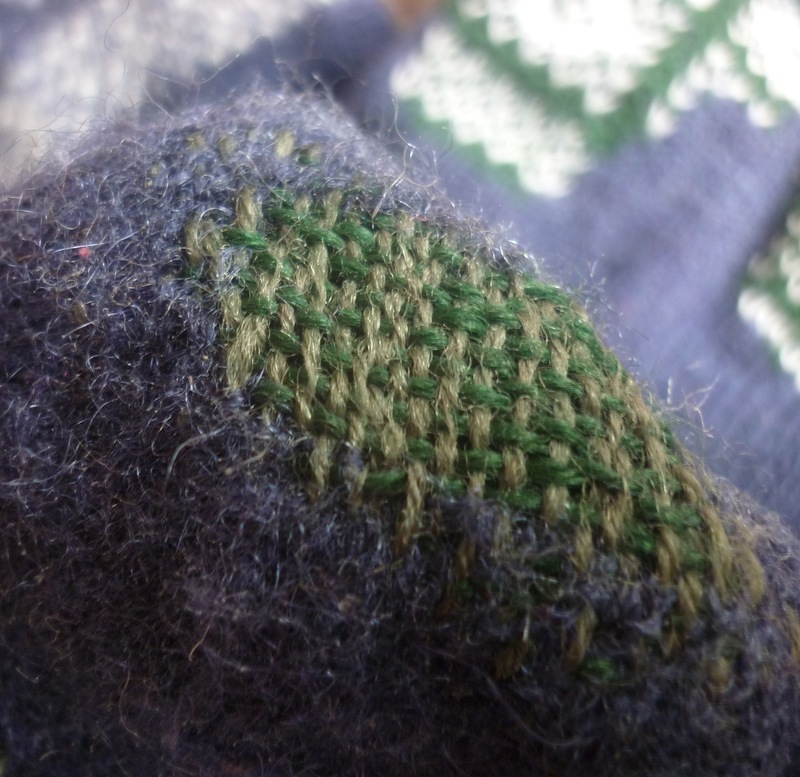 I have a dear friend in Italy who is an invisible mender using Swiss darning (and seeing thread for fine knits)and I wish I had her skill. The hole in the diagram was first “tidied up” so it ended up square with clear live loops. 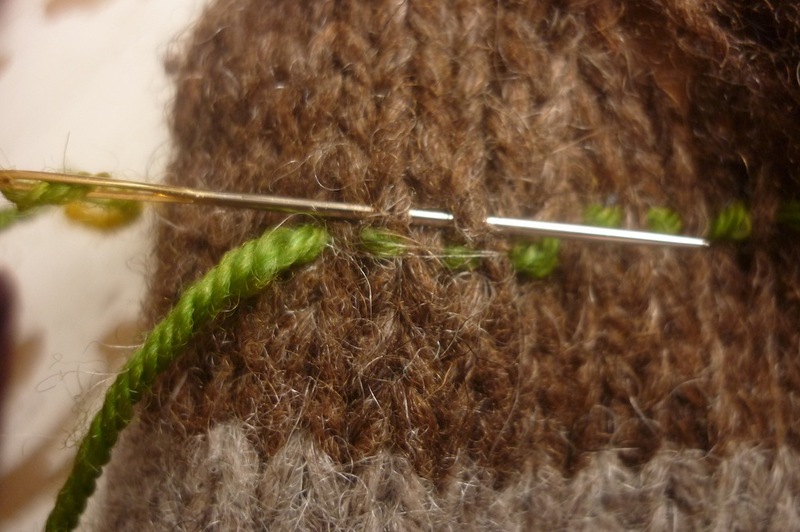 I didn’t do that as the hole was in an awkward spot, right at the heel turn, so it would never end up square. Also, by enmeshing more of the original fabric I think it’ll be a stronger darn. I don’t have the book the diagram is from (and I don’t speak Finnish anyway) so I don’t have any context and don’t know what it says in the explanation to go with it; it might not even be a mend suitable for socks. Time will tell! OOh, that does look interesting. And it also looks like Nalbinding (though of course it is one of the techniques used in stumpwork/needlelace too). I shall have to have a go, though I have currently filled in all my holey socks with the speedweve. 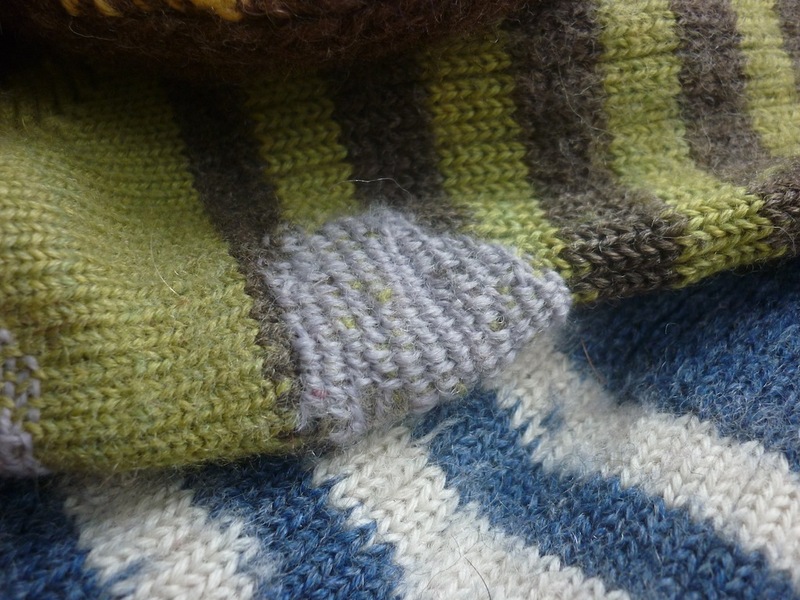 Since I’ve started reading your tweets and blog, I’ve already darned two socks (as opposed to none ever, before) and I am definitely saving this blogpost for future reference. Very nice to hear I’m inspiring other people to darn. 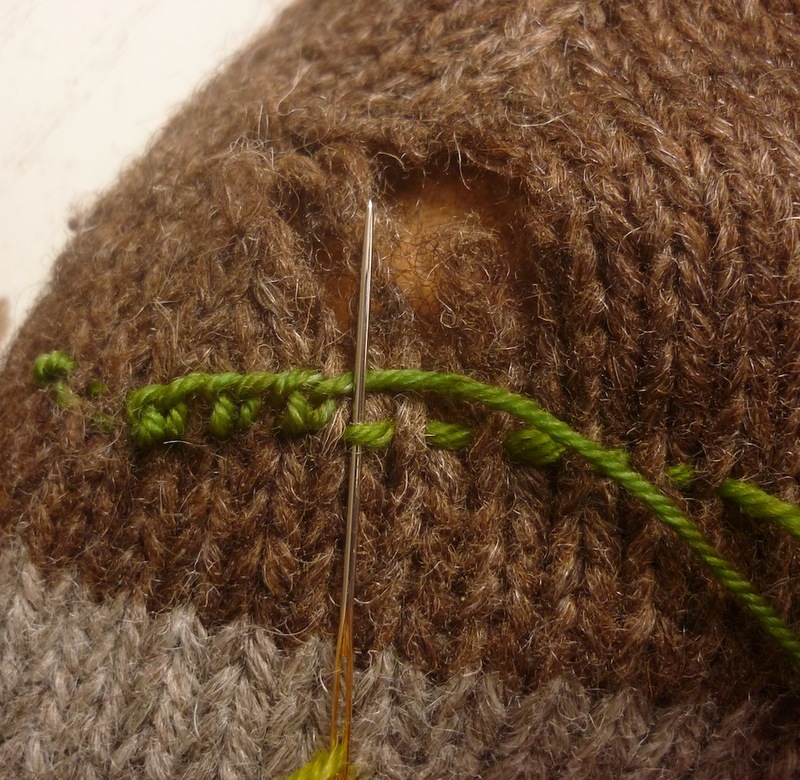 Your “Finnish darning” appears to be nålbinding. 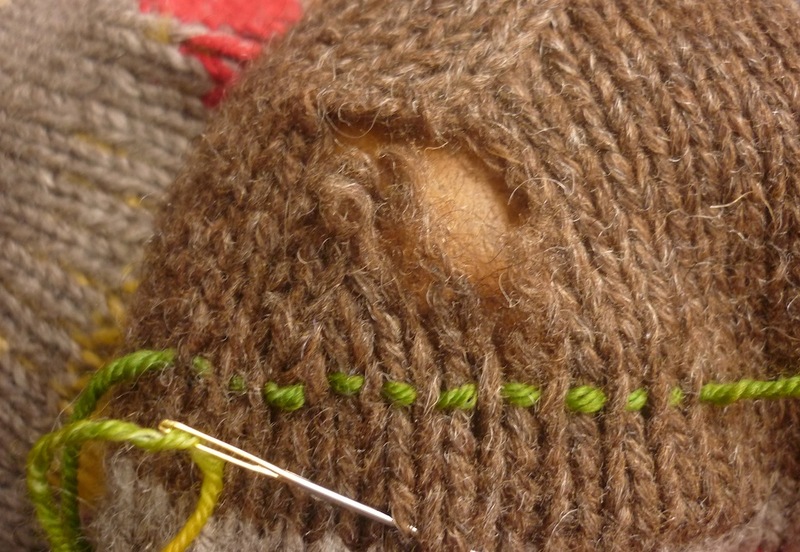 It may well be, as I don’t know how it’s done; however, it’s clear from the picture it is used to repair knitted fabric. Thank you so much for sharing and including excellent photos for those of us who learn visually. Definitely going to try this! ill jump on the bandwagon, great post. I’ll be fixing my blanket! Thanks Tom!